If you've had the same hair style for practically most of your life, I'm sure you'd grow tired of it eventually. I had straight hair for more than 33 years and when I say straight, I mean really straight, that people would sometimes ask me if I had it rebonded. My hair wasn't perfect though, it's fine (baby-fine) and really prone to dryness most especially on the ends. Early this year, I took a leap of faith and finally decided to have my hair permed. Do I regret it? Not really, because I quite enjoy having a look different from what I had for years. But I just wish I don't have to deal with frizziness all the time. And to add to that, I also suffer from hairfall, in which Kerastase Initialiste was able to help me for a time until I finally emptied the bottle. Yaiks! I am trying out another product and so far, my hairfall has been lessened. I'll continue to use it and will come back with a review soon. 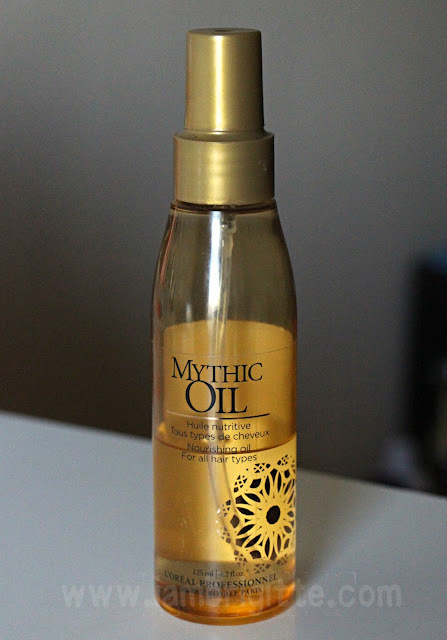 For today, let me share with you the product that keeps me from having a walis-tambo looking hair on most days...the L'oreal Professionnel Mythic Oil. Discover the secret to beautiful, soft and shiny hair with this L'Oréal Professionnel Mythic Oil. Enriched with a beautiful blend of avocado and grape seed, this luxurious oil nourishes hair to leave it with a gorgeous sparkle. Perfect for all hair types this L'Oréal Professionnel Mythic Oil is the ultimate finishing touch to your look. Apply this smoothing oil before blow drying to transform your style to leave hair feeling smooth and shiny. I was able to try this for the first time when I had my hair trimmed and the hairstylist used this on my hair prior to blowdrying. I hesitated at first, because there are some serums that would weigh my hair down, making it look more limp and also greasy-looking. He assured me it won't and that I would love the effect instead. So I said okay. And whoah, he was right. My hair looked shiny, but not the greasy-shiny kind and to my surprise, the style from the blowdrying stayed all day. My hair's so fine and can be really stubborn to keep a hairstyle. I liked it so much that I wanted to get a bottle, but the kuripot in me didn't. LOL! And besides, I have tons of hair products I have yet to finish. So I set aside the thought of getting one, but lucky me...I got a bottle from our dear friends from L'oreal PH. It comes in a classy, sleek white box embossed with gold designs and black print making it a lot more expensive than it really is. (Sorry, I don't have the box anymore) In the Philippines, it costs Php995 and here in Dubai, I found a salon that sells it for 125AED. 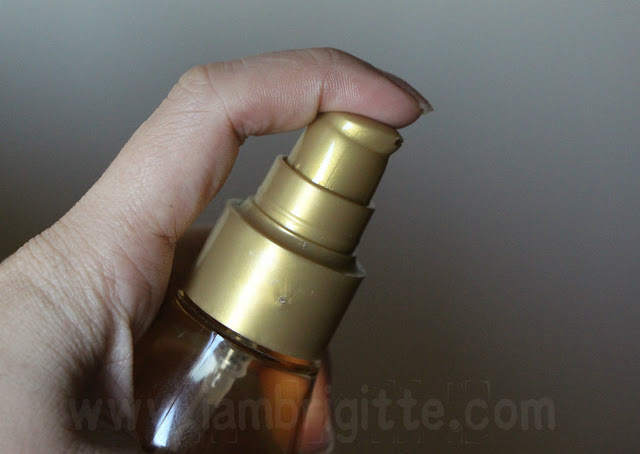 The pump-style bottle in transparent gold plastic looks just as fancy but practical as well. I love that it comes in a plastic container where you can easily see how much product is left, and of course, I don't have to worry about breaking in case I would drop it...which I already did for a hundred of times already. 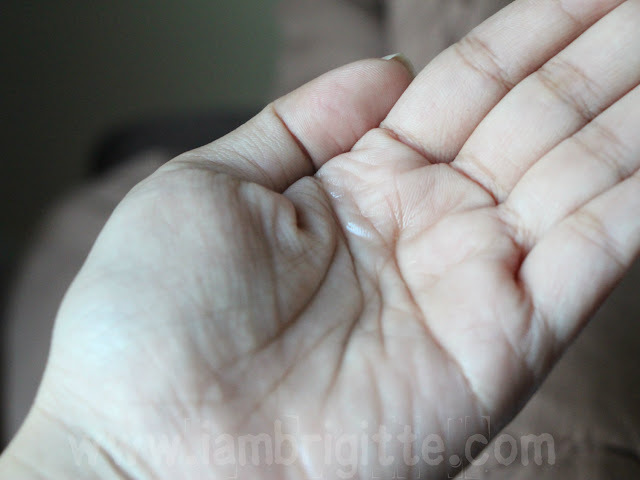 The liquid itself is clear, runny and has a silky texture. It feels more silicone-y too than most of the serums I've tried in the past, so that's probably why it really makes my hair look well-behaved all day. It also has some sort of strong floral scent to it, more like musky floral with vanilla. I don't particularly like it but after a few minutes, the intensity of the scent tones down and transforms into a subtle, delicate scent that makes your tresses smell yummy. I use 2 pumps each time, which I warm up in my hands first before I apply it on the lower strands of my towel-dried hair. I scrunch the ends a bit and let it air dry. My hair dries up looking shiny and feeling soft, with the curls still pronounced. It seems to give my hair more body than the usual too! 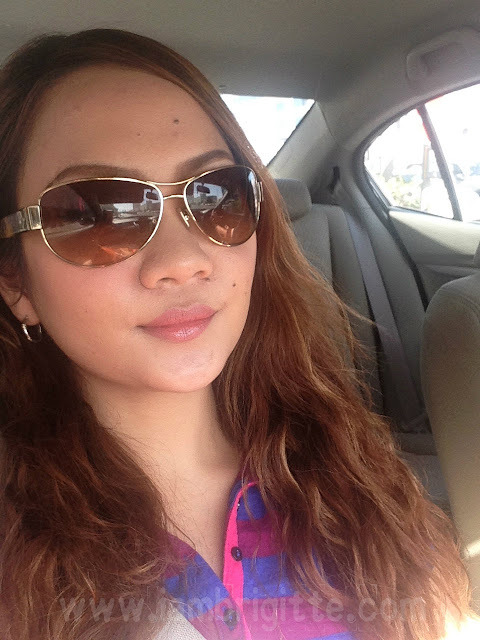 In my almost 3-months of stay here in Dubai, I noticed that my hair really dried up. I don't really go under the sun often so I'm blaming it on the water which is said to have salt in it. I really like the effect of the Mythic Oil, giving my hair a sort of temporary relief but I still decided to cut a few inches off my hair. We all know that no matter how hard we try to revive the dead, it will still be dead! Now the ends look much healthier and I intend to make it look that way so I'll keep on using this..unless of course, I'd be able to find a cheaper alternative. By the way, I saw online that Mythic Oil is actually a complete line, having a shampoo, conditioner, masque and a number of hair oils. Now that I've started to care for my hair (I don't really used to), I might check on those too. If you've tried them, please let me know. I would love to hear any feedbacks about it first.